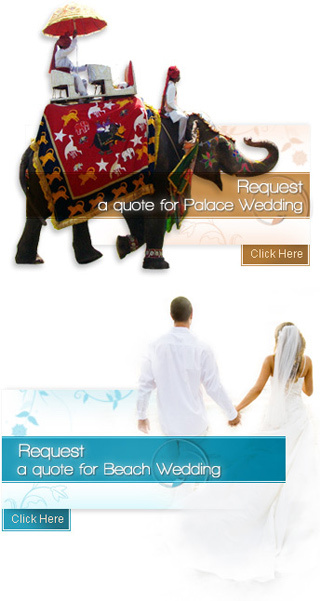 Barat or wedding procession is an exciting feature of the Indian wedding traditions. The wedding Barat proceeds in the form of procession from the groom place to the wedding venue which was formerly the brides home. All the friends and relatives of the groom are part of wedding ceremony and this short journey is full of fun and excitement. Indian wedding Barat has no parallels anywhere in the world. Wedding Baraat in the Hindu marriage takes place when the groom arrives at the wedding venue. The groom is accompanied by his family and friends while he moves towards the venue. The groom's family and friends is known as Baraat. The bride's relatives take a good care of the Baraatis. It is a joyful and vivacious moment for everyone that is present in the wedding. At the wedding the groom is dressed up in Sherwani or a suit. He arrives at the venue seated on a horse with the Wedding Baraat. The relatives and friends also dressed up in beautiful attires accompany the groom. Traditionally the music bands known as "Bandwalas" used to play the catchy filmy tunes on Saxophones, drums, Dhols, synthesizers and trumpets. The friends and family members dance on the beats of songs. Earlier the women from groom's side were not allowed to participate in the Wedding Baarat. While dancing and enjoying on the music the Wedding Baraat and the groom arrive at the venue. Fireworks are lit to welcome them by the bride's relatives. On the arrival of the groom and his family at the wedding place, the married women from the bride's side carry out Arti and Tilak of the groom. The relatives from both sides welcome each other with garlands. This way the wedding Baraat is welcomed at the marriage place. The Wedding Baraat ceremony is a full of joy, happiness, excitements and enthusiasm.